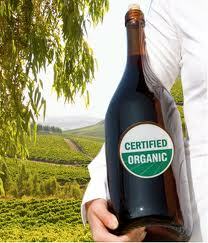 Organic Wine is a wine made from certified organically grown grapes. The fundamental idea behind this wine is that making wine from grapes grown without pesticides, herbicides and chemical fertilizers is clearly better for our planet and therefore, in all likelihood, better for you, the wine drinker! Now get this, following the creation by the USDA of NOP (National Organic Program), an organic type of wine is defined as “A wine made from organically grown grapes without any added sulfites”. By this unfortunate restriction, the vast majority of what you and I have been calling organic wines can now only be referred to as “wines made from organic grapes” (or organically grown grapes). A wine in this category cannot have any added sulfites. It may have naturally occurring sulfites, but the total sulfite level must be less than 20 parts per million. The wine industry has the dubious honor of being the only one that cannot call its product “organic” even though it’s made with more than 95% of organic components. There are a few winemakers who explore avenues to eliminate the use of sulfur dioxide, but the truth is that wines without added sulfites are very few in number and very unstable in quality, giving the public a negative perception of organically grown wine. The subject of sulfites seems to further complicate the subject of this wine. Sulfite or Sulfur dioxide is used as a preservative in wines. 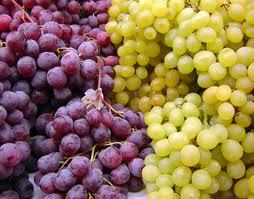 It has strong antimicrobial properties and some antioxidant properties. The consequences or health effects of sulfites are debatable though a small percent of the population does suffer a sensitivity reaction to them. A wine can make the claim “No added Sulfites - Contains Naturally Occurring Sulfites” or “No Added Sulfites”, but if sulfites are added and the sulfites in the wine are above 10 parts per million, it must make the statement, “Contains Sulfites”. Be careful of the way that stores advertise and shelf the various wines. It may not be the same as what the bottle labels state. According to the law, all organic claims must be stated on the label so you have to read labels carefully to know what is in the bottle. Biodynamic farming has much in common with other organic approaches, such as excluding the use of artificial chemicals on soil and plants. It calls for a holistic approach that seeks ecological self-sufficiency but also includes ethical and spiritual considerations. 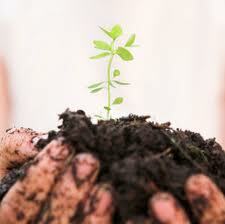 Followers of biodynamic viticulture describe it as an advanced form of organic viticulture. The vineyard is seen as a living organism which can be maintained in a self-sustaining way, potentially creating a unique growing environment. Both the biodynamic and organic methods of growing are grouped under a relatively new concept known as “sustainable viticulture” which ensures the avoidance of any kind of environmental degradation while maintaining the economic viability of the vineyard. A series of special preparations are used to enhance the life of the soil and they are applied at appropriate times in keeping with the rhythms of nature.